This new volume explores the crisis in transatlantic relations and analyses the role of NATO following the collapse of the Soviet Union. The book offers a unified theory of cooperation in the new security paradigm to explain the current state of transatlantic relations and NATO’s failure to adequately transform itself into a security institution for the 21st century. It argues that a new preoccupation with risk filled the vacuum left by the collapse of the Soviet Union, and uses the literature of the Risk Society to analyse the strained politics of the North Atlantic community. 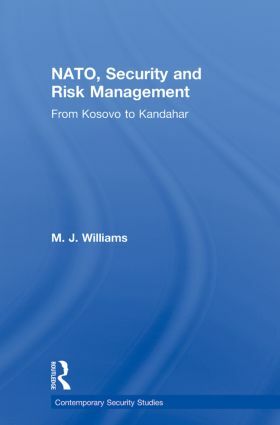 Using case studies to show how the West has pursued a strategy of risk management, and the effect this has had on NATO’s politics, the book argues that a better understanding of how risk affects Western political cohesion will allow policy makers a way of adapting the structure of NATO to make it more effective as a tool for security. Having analysed NATO’s recent failings, the book offers a theory for the way in which it can become an active risk manager, through the replacement of its established structure by smaller, ad hoc groupings.